Also, larger JPEG and PNG located below. If you need something else, message me or Marshall Pruett. No need to credit, permission etc, just show your support. UPDATE 2: Lots of requests about an actual Sticker. Please hang tight. There are a couple of parties who have this under control (with the agreement of the family) and have the infrastructure to pass these onto teams, drivers and series etc. This will take a few days to sort I suspect, but rest assured, it is being looked into. My only requirement is that any sale benefits Justin and Julia’s children via the foundation. If you are a team, driver, series, drop me or Marshall a line and we can advise further. 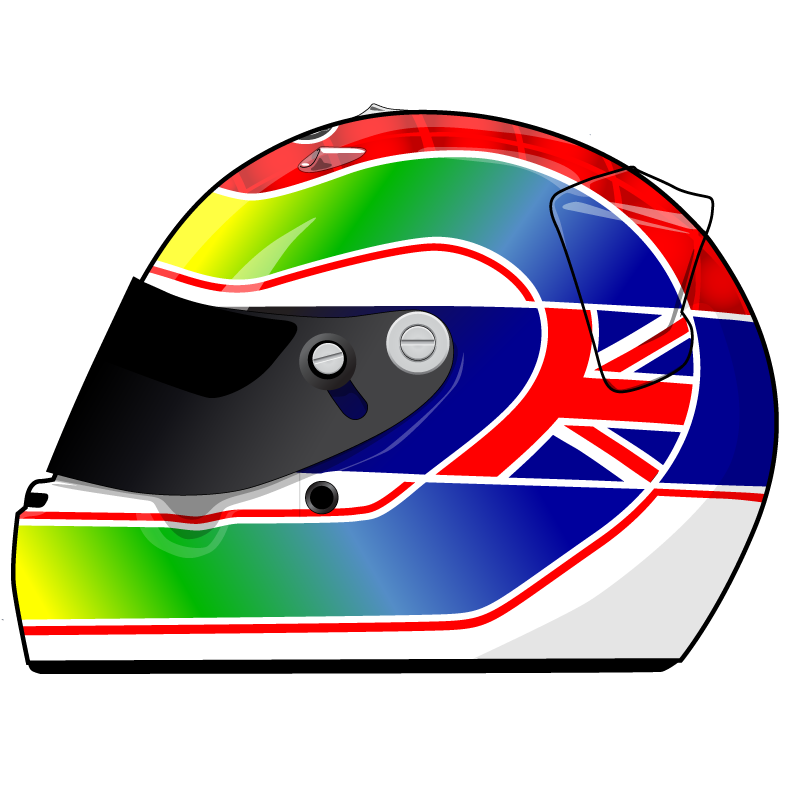 You are of course free to use the art (now clickable, sorry about that) for any tribute you want. 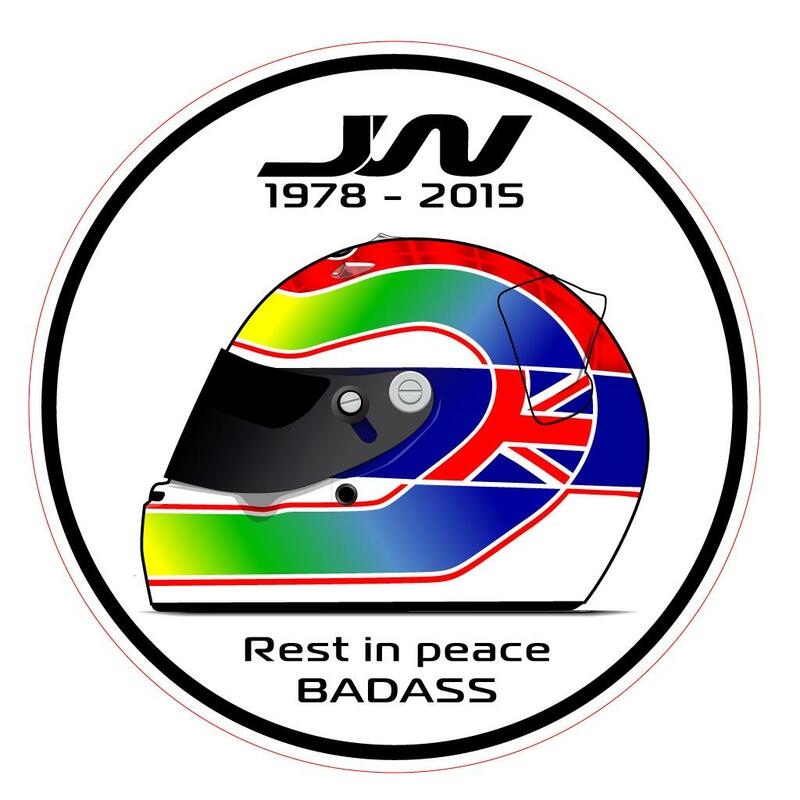 The sticker has been designed and produced with the full support of Stefan Wilson, Justin’s brother. 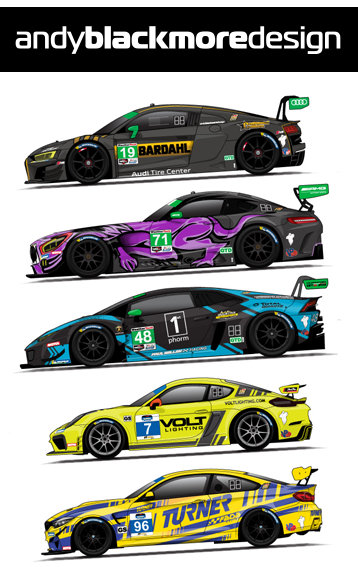 This is the art for a sticker produced for Marshall Pruett. 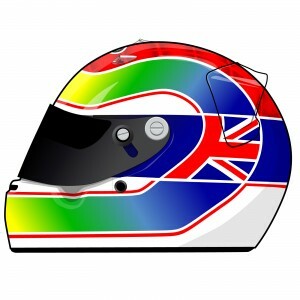 This will also be used by WEC teams and drivers. Following the original round decal, INDYCAR requested the helmet artwork for their own set of stickers. 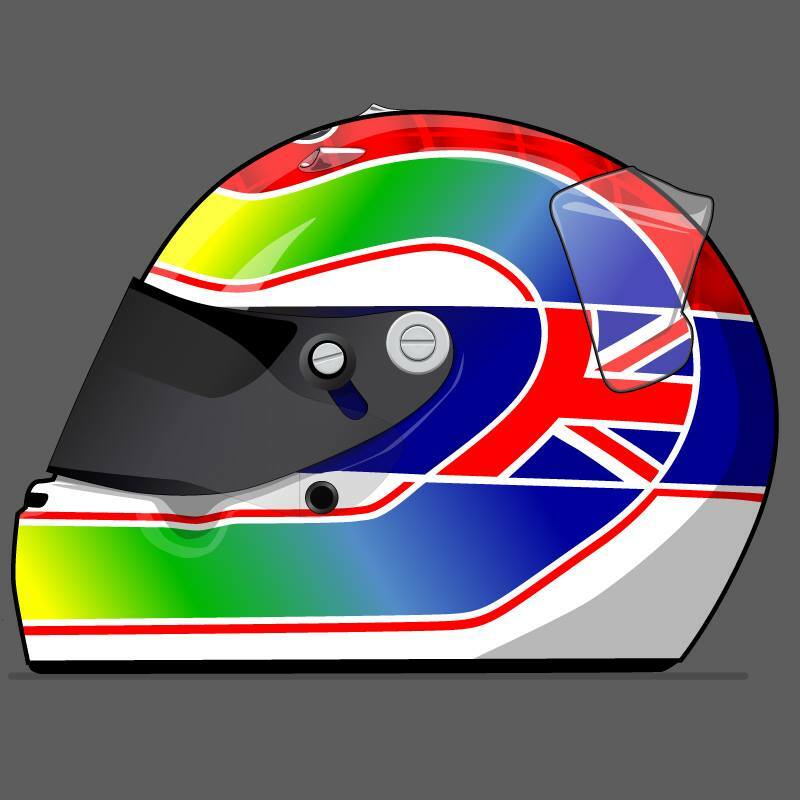 This one will be given out to teams in INDYCAR, NASCAR, GRC, Formula E and more by INDYCAR and Andretti Autosport. 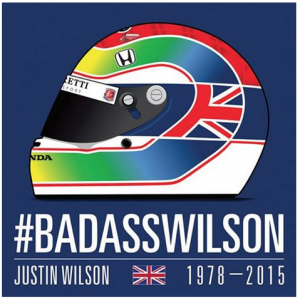 INDYCAR have released a tribute t-shirt and decal with 100% going to the foundation set up for Justin and Julia’s children. These are available from the INDYCAR Shop and at Sonoma this weekend. Plans are afoot for a European stockist to reduce post and package costs. This has all been produced with approval by Justin’s brother, Stefan. Thank you to Marshall Pruett for the sticker idea and to Indycar’s Ryan Long for driving this today. Stars! All questions here on in to Indycar please as they can handle better than I can. 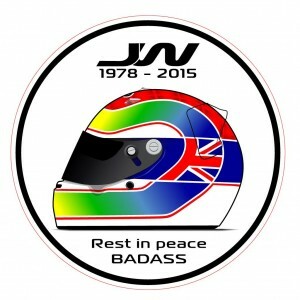 I have arranged a limited supply of these stickers to be printed for Canadian residents only and are available for $8.00 (CAN) + $1.50 to cover postage and Paypal fee (about 55c). The $8.00 will go to the Wilson Children’s Fund. Once these are gone, it is unlikely I can get more produced as I’m funing cost of production. To make things easier for all, I am selling them through Ebay. With the racing world rallying to offer their support, progress has been made with the Wilson Children’s Fund, which is now able to accept support electronically. Please visit http://wilsonchildrensfund.com.